Guys we want you to have only the best when it comes to caring for your skin, which is why we have an amazing shaving cream that we want to share with you today! 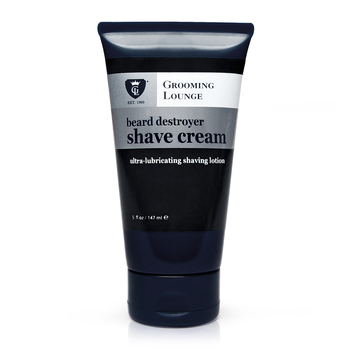 Bear Destroyer Shaving Cream is an ultra-rich, lubricated shave cream that gives you a smooth clean shave every time. It’s low-foaming formula is perfect for all beard types, but is especially excellent at protecting those prone to razor irritation and nicks. It destroys your beard, and pampers your face. How to use: rub a quarter size amount all over beard. Rub some water into the cream while on your face and shave as normal. Men, make sure you have the best when it comes to shaving. Beard Destroyer is just what you need to ensure you get the closest, cleanest, smoothest shave ever. We give Bear Destroyer a SMOOCH!